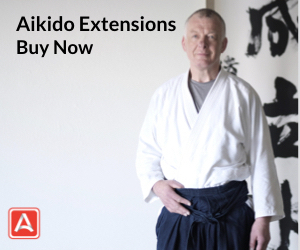 A conversation with Philip Greenwood Sensei (6th dan), president of the Nishikaze Aikido Society of America, the official organization of Nishio Sensei’s Aikido in the United States. 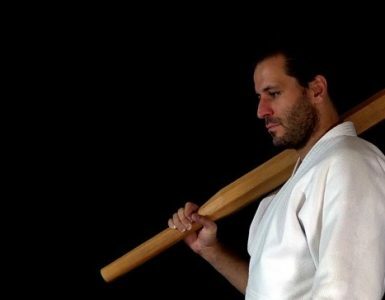 In this podcast, executive editor Josh Gold sat down with Philip to discuss the legacy and innovative genius of Shoji Nishio (8th dan), the relevance of aikido in modern society, demystifying the role of the sensei, and the unique technical concepts introduced to aikido by Shoji Nishio. Learn more about Philip Greenwood here. 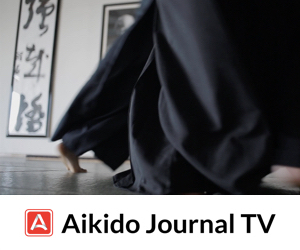 Watch Shoji Nishio’s 5 hour instructional series exclusively on Aikido Journal TV. This podcast is great! Thank you Josh for the interview. A much needed material with regards to understanding Nishio’s approach to Aikido and the “BUDOness” in it. 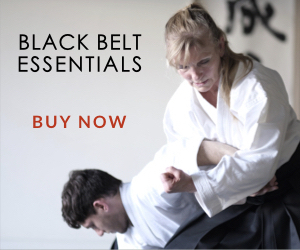 I urge everyone to listen to this podcast with Philip Greenwood sensei. He had covered a lot of topics. 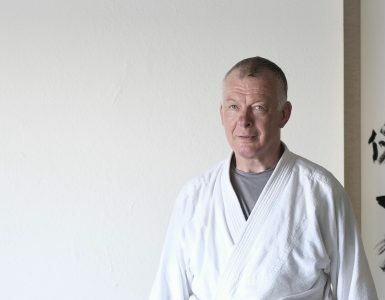 Excellent interview with Phillip Greenwood Sensei regarding Greenwood Sensei’s I sight into Nishio Sensei’s method of a Aikido. Thank you Josh and Greenwood Sensei. Hi, as a student of Nishio senseis aikido myself, I can and will recommend this podcast to my aikido friends. 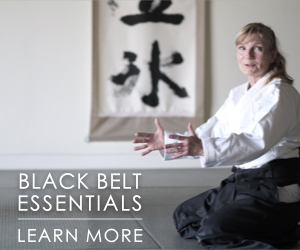 Phillip Greenwood Sensei does an exellent job on explaining the legacy of Nishio Sensei. Thanks Josh, keep up the good work. This was an informative and entertaining podcast to listen. Sensei Greenwood gave a great explanation about the heart and soul of Aikido. Nishio Sensei’s philosophy of “Yurusu Budo” sounds very similar to how the character in the film “Ame Agaru” (After the Rain) lived his life and defended himself in the film. I feel the film is a must watch for all practitioners of Aikido. 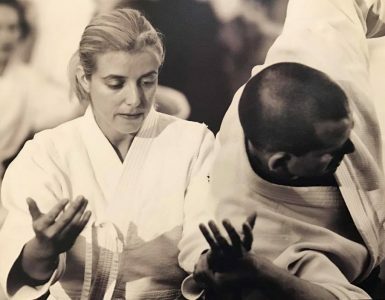 Sensei Greenwood does a great job of explaining Nishio sensei’s philosophy of using the budo present in all aikido techniques to hopefully guide the situation to a peaceful conclusion. This is a must listen to anyone wanting to have a deeper understanding of Nishio’s philosophy. Good interview, it’s great to know that Nishio Sensei’s style is still practiced and kept alive by serious students of the art. He is one of the main inspirations that led me to cross train and seek a better knowledge of Ken and Jo in Koryu. It’s so interesting to know that someone like him who had extensive experience in other arts thought that Aikido should be his base and incorporated the knowledge of the other arts, I think he saw something in Aikido that led him to believe that the most complete Budo was Aikido, both technically and philosophically.